Here's our exclusive Interview with entrepreneur, angel investor, and expert on startups, Ross Blankenship. Recently I sat down to speak with successful startup entrepreneur and angel investor, Ross Blankenship. Born in Dallas, Texas, Ross' family moved to East Texas to the border of Arkansas to a place called Texarkana when he was just an infant. In Texarkana, he was raised by a single father, which was highly unusual in the 1980s. His father is a successful medical entrepreneur who started several medical clinics all across Arkansas, Texas, and Oklahoma. According to Ross, it was this opportunity to see how his father started from nothing to become an uber-successful business person that shaped his future. 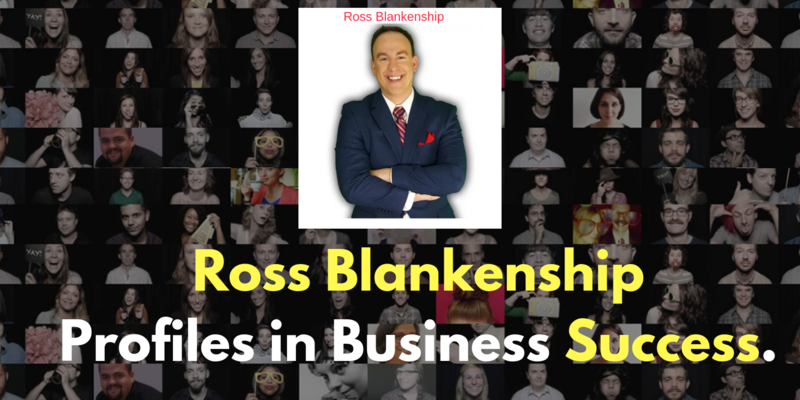 How was Ross Blankenship inspired to become a successful entrepreneur? I asked Blankenship more about this unique upbringing and how he felt he was shaped by it. Ross said, "Traveling and watching my father build medical clinics and save patient lives in the most impoverished parts of rural America, had a huge impact. It was also the idea of being a doctor. You are forced to tell people what they need to hear, and that has been a pretty consistent and candid theme throughout my life." A super passionate and avid learner who loved visiting the Texarkana Public Library, science was his big thing. "I was fascinated with the idea of whether time was linear or multi-dimensional and just the idea of how time works. I thought I could at an early age figure out time works. Looking back I see how valuable time was in my life. And knowing just how valuable time is, I cherish every moment on our Planet." When he was 14, Ross headed to boarding school in New England. What he shared about his experiences at Northfield Mt. Hermon is really a commentary on how education should evolve to a more customized, personalized academic environment. "I remember vividly my first day of class, when my teacher wrote his home phone on the chalkboard and said, call me anytime you need help. That was profound. Now, this would be unheard of in our school system. There are too many liabilities and teachers are afraid to open themselves up outside of the classroom. But I will always remember that, and that experience guided me in my brief time at Boarding School." This time theme carried through Ross's life as he enrolled himself in boarding school, graduated from Cornell University and went on to graduate law school at Washington University in St. Louis (WashU Law). "I did not want to push paper all my life. I want to create my own business and become an entrepreneur. So during that time of law school, I created several companies. Some were successful, others not. But I fought tooth and nail to make sure my path would be different." From the first website he created as a teen, where he built a website using Microsoft FrontPage in 1997, to companies in online technology, cybersecurity, and education, Ross has pursued entrepreneurialism with a passionate vigor. Now we have several questions about entrepreneurs and startups, as well as questions about Ross's successes and even his sleep routine. Who has been an inspiration for you personally? Who has been an inspiration to Blankenship? There's no doubt my daughters are my inspiration. They are amazing in every single way. I have a three-year-old daughter and her six-year-old daughter, and they are every bit of an instant ounce of inspiration. What is so inspiring about being a father? Blankenship said, I am devoted to showing them how a great father can be and giving them examples of what they can do in their own life. The other equally important component would be my wife. Those are my inspirations for being successful, being a good person, and doing great things for the World. "...having two daughters has shaped my perception of how women are treated in America, and the World. I shouldn't have waited this long to become an advocate for women and startups helping create equality for women, but now's the time." Speaking of monopolies, which are the biggest monopolies? Google and Facebook are the two biggest monopolies. But there are quirky ones as well. For example, Luxottica, an Italian eyewear company is the world's largest, and they have tens and billions of dollars of revenue with brands including Oakley, Prada, Burberry, Chanel, and LensCrafters. Also, take a look at Unilever. Unilever is a consumer monopoly with so many products that dominate consumer goods markets, such as Dove, Axe, and Lipton. Another company with a monopoly is Monsanto, which is the agricultural biotechnology giant. The other brand I know that everyone recognizes every time they zip their jeans is the YKK Japanese company with almost 100 facilities worldwide. These monopolies shape our entire economy from top to bottom. From the macroeconomics of controlling supply and demand, to the microeconomics of changing how consumers behave and limited their options to buy products. Do you think these monopolies will ever get disrupted? According to Ross Blankenship, As for disrupting these monopolies, these come in all shapes and sizes and spend the gimlet from business-to-business and business to consumer. I think that gives us a great opportunity. As a startup, you are small, and you can go in and disrupt the monopoly without them even knowing how you got there you. "Ignite a paradigm shift in the media. Create a David vs. Goliath story that runs in the Press. Tap into America's desire to help David, even when Goliath is running rampant." That is what I try to do with the entrepreneurs is to inspire and encourage them to answer this question and to tackle those monopolies and duopolies. These are companies that are waiting to be disrupted. It might take you years, but if you have the patience game and are willing to create something for the long-term, that's when you will reach the most success in your life. What is Angel Kings and how did you start with the company? I started Angel Kings after graduating from law school and moving to Washington DC. I had previously begun several companies ranging in industries from education to cybersecurity. Many of them are automated, online businesses that make money every day. Some require some sales and have teams I have created for these companies. "Why not become the shark instead of the fish?" Why not create my version where I can do that out of my own money? I've seen both sides: the venture capital side and the entrepreneur's side. I know how to start a company, but I also know how to do everything from QuickBooks on the way down to financial reporting. I know how to code and create websites and technologies that affect millions, if not billions of people." So Blankenship began advising startups but also often investing in these startups personally. Blankenship has been very successful in selecting startups with potential. Where is Angel Kings Today? Angel Kings has evolved past few years. We have been focused more on the advisory side and the consultancy side of creating companies and launching our own products. Though they keep marketing information and materials up relating to our angel funds, we haven't raised funds and any investments have been made from me, personally. Also in 2017 and 2018, I reduced my annual angel investments from 12 to 15 startups per year, to 3 to 6. Angel Kings is focused on web development for startups. Our reasonable fees for creating websites for startups would be hundreds of thousands of dollars. But for cashless, "bootstrapped" startups, we focus on the equity side and take a small percentage of the startup in exchange for our website development work. Vail Networks offers the most experienced software and web developers in one place along with the best digital marketing experts to see that your site drives website traffic and converts more customers. I only hire the top one percent of web developers and software developers to handle the development. We combine that with a real understanding of digital marketing. Having moved out to Colorado after living in DC for ten years, I realized the state has an active tech scene in places like Boulder and Denver, but not into the Rocky Mountains area. Today we are thriving. We have got more requests than we can handle ranging from Forbes 500 and the Inc. 5000 companies. I also have created the Blankenship Valuation Method to help startups evaluate whether they can raise money, and how they can become a profitable company. Too many startups build an idea without profitability in mind. What the Blankenship method is, in short, is an idea to combine five things - people, product, process, traction, and financials. I use this evaluation to compile a score out of a hundred as a way to decide if I'm going to an angel investment company or create my own company. The Blankenship formula is rooted in making sure you can make it as a startup. When you use the method to evaluate your startup success potential, you know from the beginning whether or not you have the pathway to success. You know that you can raise money and you are going to do very well. It is incredible to have the option to raise money but not to take it. I encourage everybody who reads this to go out there create your own business with your products or services or both. Try to use the Blankenship method and see what the top score is for your startup. Then you always have in the back of your mind you can raise money anytime you want, even if you decide not to. The third challenge when creating your own business is "competing" against the massive monopolies that control so many industries. A monopoly is incredibly detrimental to free markets. I see startups versus monopolies as a David versus Goliath battle. Goliath is the monopoly and David, the startup. I think that's at the core of who I am: my middle name is David, and I find the idea of battling the most prominent companies, thrilling. Go destroy monopolies, but do it strategically. At first, it's okay to be this little fly on the wall where the monopoly doesn't notice your business or your progress. But you have to grow into something. You have to rise to capture the market. To do this, you have to grab the attention of the audience by turning into a butterfly. Like a beautiful butterfly, you attract businesses and customers who want to be part of your startup. The challenge of battling monopolies can be terrifying. If you are going to be a startup, you are going to have to think about whether you can beat them. You want to create something that attracts businesses and customers who want to be a part of your company. Doing so will lead to growth and advancement that helps you disrupt the monopoly. Let's shift gears. What technology do you think will be the next big thing in 2020 and beyond? AI or artificial intelligence is the first one. Space travel will be significant in the next decade at the latest. There is also this idea of a national digital asset or currency like Bitcoin or Ethereum. This Ethereum is new to me. Can you explain more about it? Ethereum is a digital asset that serves as a Smart contracts thing. It is kind of the oil between two parties that moves and gases a contract so that instead of having an intermediate for middlemen like a bank or an insurance agent. I see Ethereum, and Bitcoin, as carrying our financial institutions and driving societal change in the next 5 to 20 years. The digital asset will also open up the floodgates for people who don't have access to banking. They can do more financially when they have the digital currency available to them. What things are startups missing the most when you advise them? As a result, they miss is the lack of product demand. There are so many startups that approach me to be an adviser, and I go through the Blankenship formula with them. When they get to the product side, I ask them if they have any customers, and often these startups respond that "they are waiting to reach customers." That's a startup that is going to fail. A great place to do that would be Kickstarter or Indiegogo. These platforms allow you to launch a campaign and validate your product before you even start up. Determine if your startup is viable before investing a ton of time and money on the project. What big idea did you never launch? I wanted to create a desktop mobile application called Handy Bees. It was a predecessor to Thumbtack. Handy Bees was where if you needed a handyman you could open up your mobile app with a few clicks have someone come to fix something at your house. The service would charge 25 percent for every transaction. Unfortunately, I encourage startups not to overthink, which is what I did causing me to miss the boat. What legacy do you want to leave behind for your family and future generations of entrepreneurs? I want to leave a legacy of fearlessness and decisiveness. I want to leave the legacy of someone who was always wanting to give friends the shirt off my back. My mission is to help other people become successful. I also want to be candid in that I readily admit that many people love me and there are just as many people who say I am too abrasive with a big ego. There are always those people who do not think you're good enough. They don't think you deserve to be where you are. That is rooted in jealousy. There are many haters out there who would live vicariously through your life to as opposed to living their own lives. I remember this one stray when I was little kid I was in fourth and fifth grade and I was on a flag football team, the Cowboys. A couple of the players were so good that I told him, "Dad I want to be so good like so and so," and he looked at me and said, "Don't ever talk about other people's success. Focus on yourself. Focus on who you are as a person and what you can do to become great." That's what sticks to me to this day. I'm not thinking about this person and what I don't have. I think about how I can create value in my name, brand, and reputation as opposed to living vicariously through others. That's the legacy I want- one of stubbornness, fearlessness, and decisiveness. Where's your favorite location to work? I love working remotely. I love traveling to a new city sometimes with the family sometimes with business. I am working in remote spots, and I can't tell you how fun it is. I love to go to boutique coffee shops with that java aroma in the air and the sounds of people tapping away furiously. Exploring new cities is thrilling. Remote companies are the wave of the future the next big thing. Companies like Buffer and Vail Networks already use remote work. Where do you keep your best startup ideas? When did you realize that you wanted to start your first company? I remember being nine years old always walking around with these scratch paper, ready to come up with the next big idea. I would draw buildings that would include a plethora of security guards and security cameras along with a bank vault inside. I was perpetually excited about security. Security has always been a motif in my life; I'm not sure why - perhaps it comes from the insecurities and challenges of being a kid raised by a single father, without the security of having a mother. But my focus was on creating a security company. And I loved showing off my designs and ideas to what was often an uninterested adult party. I wake up at 6 AM. Sometimes my girls will jump up and wake us because that is what kids do. I go to sleep at 11 PM depending on the time zones where I am working. Why do you feel your mind ticks the way it does? Nature vs. Nurture. "I think my simple answer is nurture comes in early, and nature appears later. There will always be a huge debate about nature versus nurture. The answer as to why some people are successful, and others not, is a hybrid of how nurture and nature worked in your life." When you are in an environment where other stimulating people surround you, that is nurturing you. Then when you get out on your own, you have been cultivated. You are ready to see what you can do personally to improve your environment. This is the essential DNA of an entrepreneur who wants to do great things. How would your friends describe Ross Blankenship? I am sure they say I am stubborn. I am decisive, and there are multiple ventures where I have had to make instant decisions. You have to make these because time is of the essence. Which, again, comes back to my motif of time. I think they would also say I always think I am right. And if I am not, I want someone to challenge me so they can tell me why I am wrong. How would you describe your work set-up? I have an audio recording studio where do a lot of recordings for more than 500 YouTube videos I have on a channel. I also have my massive screens and computers, some measuring 34 and 40 inches or more. My setup has multiple monitors connected for managing projects that I'm working on or for hiring and cultivating a team for web development. I also have a Mac Pro, a Mac AirBook, an iPhone in my music studio. When I am working remotely, I bring my Mac AirBook and iPhone. It's a simple set-up, but works wonders for remote work. How do you know when your startup is going to be successful? Just put, when your demand outweighs your supply. For example, let's say you have a product like a thermal blanket that is soft and affordable. You start a Kickstarter, and you reach your goal of $300,000 in 30 days. You know you have got something big. The extra demand is there, and you do not have the supplies. You know that you are going to be successful. It is a defined thing you will see in the numbers. How many times have you failed in your business career? So many times I think this is the one thing that frustrates me in the world. Entrepreneurship is the idea that everyone says they did a home run over and over again. Everybody is a serial entrepreneur, but let me tell you the reality. I am betting over 500, and in baseball, I would be in the Hall of Fame. I think I have been very successful, but I am always continually trying to bat more than 500. The goal is to be more successful than unsuccessful. There are two things I did that I would love for startups and entrepreneurs to avoid. The first thing I did was to outsource all of our web development. This was over 15 years ago. I did have my encoding and developer background, but I decided to put it off into an agency hands. The finished product was nothing like what we wanted for our customers. And by the launch, I felt like $250,000+ later we barely had a product that worked along with very few customers. It was a very real wake up call that over $250,000, which should have been spent on marketing or advertising for a minimum viable product which is called an "MVP," was too much money spent on that outsourced IT. I recommend for entrepreneurs to build a fundamental model of what your startup is. Then release it to get customers' attention to see if it is worth it to add features. But don't bring on people and don't outsource at the very beginning until you have a viable business plan and product or service. The other is more related to the angel investing side of what I've done. There have been at least three or four startups I could have invested in but that I passed on for many reasons. Hindsight is always 2020, and there is still another bite at the end of the apple. There is always another startup that is distracting and disrupting the monopoly, and that's the key here. If I missed a few angel investments or made smaller investments, it is better than not trying at all. How many times have you succeeded in your business career? I have hired hundreds of employees over the years. I have put food on people's plates, and I changed many lives. It makes me super proud that I had a direct impact and was able to pay people and pay them very well. We can create products that people love. That's a general success of ethos and philosophy that has been carried with me throughout my life. My progress has been measured by how great other people have been through the work I've done for them. Do you think America will be in the next decade or two in terms of being a global tech leader? If we can come together not unlike in World War II, then yes. Back during WW2, there were the most amazing Americans sticking to food credits and rations because they were worried about the military abroad fighting for freedom would be okay. That's just the next level of what that means as Americans. If we can come together that is the key. I'm not saying we need to get rid of all divisiveness with Congress and the executive powers, but there has to be more togetherness. We don't need a war to get us there. We need to realize as Americans we have an economy that speaks of success. Creating success means returning manufacturing to the country. That means even as robots are ready to take over many of these factories that a human component will still exist in setting up and maintaining the factories. People are needed for building and creating robots and new technology. We have to go back and figure out which type sections of our country can be turned into manufacturing zones. America will find its economic greatness because American workers are the best in the World. What are the best resources for entrepreneurs who are getting started in business? So what's your next big idea? My next big idea is a secret. But I do have a startup idea that is huge that I can share. My next big idea involves fully-automated vehicles run by computer and remotely, along with the Internet of Things. The IoT and automated vehicles are all completely connected by the internet. This is where cyber security comes into the scene as a timely solution for many potential problems. How this works is you have protections in place in your home to protect your family. This includes security cameras like the infant monitors you see in almost every baby crib. These tech devices allow you to monitor your infant from a distance. But what if someone else was also watching your baby without your knowledge? Hacking into computer cameras via the wireless internet is nothing new. However, with the rapid advancements of the automated vehicles and the Internet of Things, there is the increasing concern of protecting your cybersecurity. It is horrifying. There is this level of a lax attitude about the in-home technology that is available in multiple nodes. If somebody takes over these systems, this puts people's lives at risk. That's what the future is, protecting the most important people in the world which is our family. This is where cybersecurity is going to come into play. 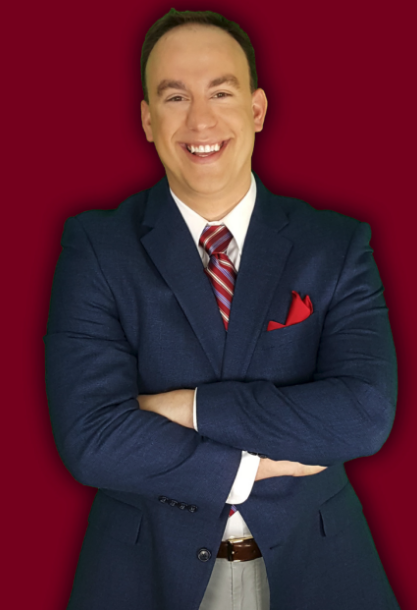 For entrepreneurs ready to begin excelling with their career, Ross Blankenship offers a wealth of advice and opportunity. Take this advice and propel your creative endeavors as an entrepreneur. From utilizing the Blankenship Valuation Method to understanding that any startup can disrupt the biggest monopolies - this information is instrumental in succeeding in the 21st-century markets. Where technology and the Internet of Things are rapidly increasing the pace of creative expression and startup capabilities, there is also the growing concern of cybersecurity.